Chevron is a total trend right now in the fashion world. At first glance, it’s a simple zig zag pattern. But if you look deeper, it’s so, so much more: a fashion statement, a celeb-worthy look, and a runway rampant style. 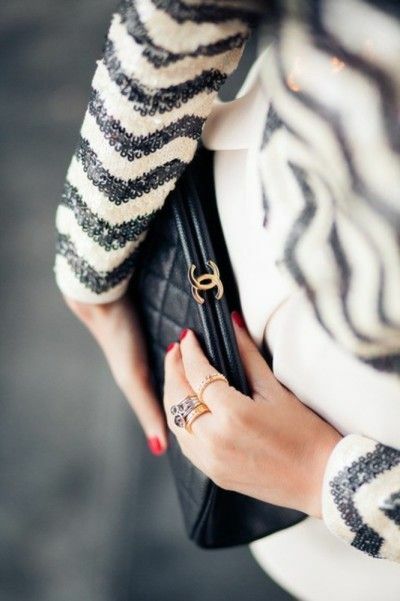 Chevron is totally chic. Also, it’s simple enough to add accessories to, or stylish enough to stand alone. It’s so versatile! It’s also great in the fact that it has flexibility from season to season - in the winter you can sport a warm and cozy chevron sweater while in the summer you can bop around in a light and delicate chevron dress or romper. The possibilities are endless as this is definitely a look that can bounce from season to season, piece to piece. And speaking of it bouncing piece to piece...it’s not only limited to wearable items. Make a fashion statement with this playful pattern via your phone case, home accessories, or even home design! Chevron is a craze in fashion pieces as well as furniture, kitchen goods, home decor, wall design, and an endless array of accessories. This may seem a little outlandish - I mean, who wants zig zags running across their wall?! - but it can bring a room, outfit, or look together completely. For some reason, this design just has that kind of power. Chevron can be anything you’d like to to be. It can be chic and unique or preppy and classic. From bold and daring to delicate and sweet, it has the flexibility any fashionista you desire and makes the statement you require. Love chevron and always will. It's so timeless and effortless. Think Runway Is Looking For Contributors!